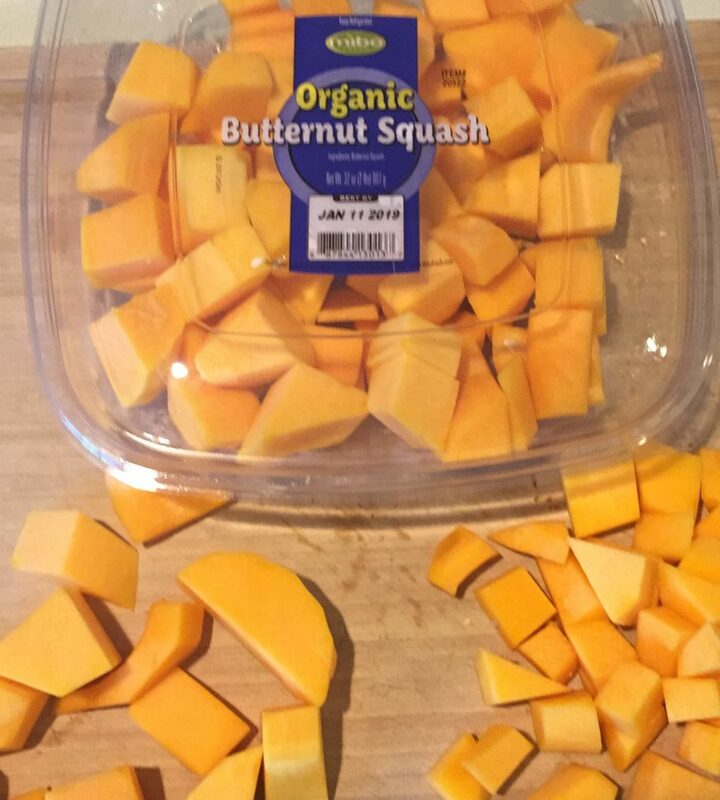 While green beans have always been and always will be my favorite vegetable, butternut squash is a very closes second. 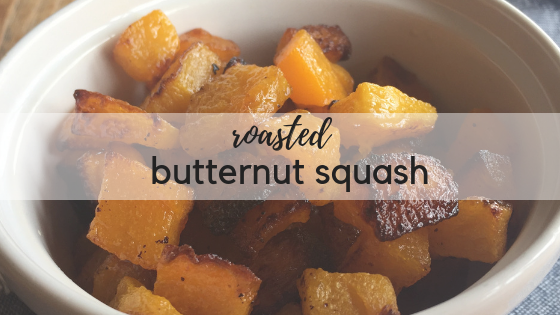 I could easily eat a whole pan of roasted squash in a matter of minutes….it’s better than candy! 3. 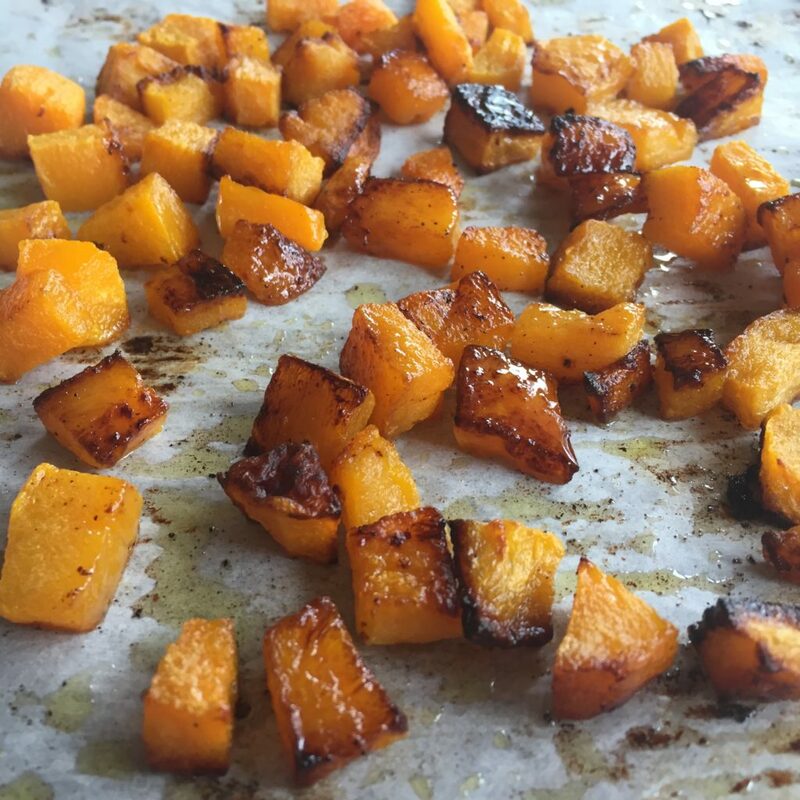 Add squash to sheet pan, drizzle with olive oil and toss to coat. 4. Spread squash into single layer, and salt to taste. Roast as directed, let cool completely then store in an airtight container in the refrigerator several days. Reheat in microwave, or in lightly oiled skillet over medium heat. #2-It works best if the squash is cut to uniformly-sized pieces so they cook evenly. 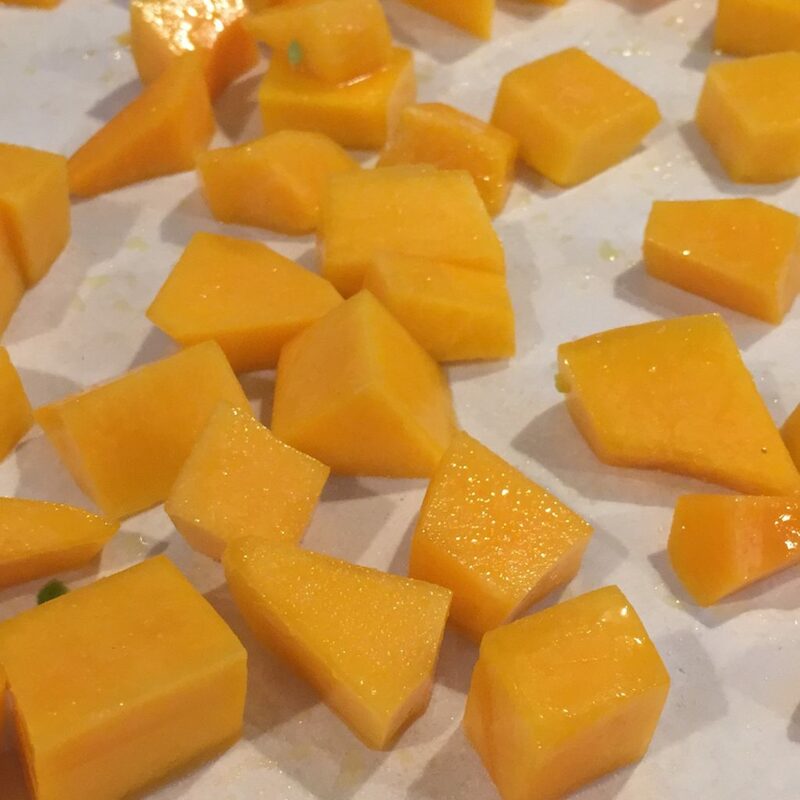 This pre-cut squash was all shapes and sizes (left), so I quickly chopped some in smaller pieces (right). #3-If you’re using the squash in a pureed soup or mashed, then cook them just until soft and barely brown. If you’re serving them on their own, cook them until they are soft and many pieces are nicely browned….the best flavor is in slightly brown and crispy edges!